With decorating, it can be tempting to get cracking straight away. However, the most important aspect of decoration is the preparation you do beforehand. If you don’t have all the necessary tools to do the job it may be cheaper to walk into your nearest tool hire shop. By investing time in preparation, you are more likely to get a professional finish. First, determine the materials that you need. If you are planning to wallpaper, this may mean wallpaper, lining paper and adhesive. You will need to calculate the surface area of the walls in order to work out how much to buy. With patterned wallpaper, you may need to buy extra to allow for wastage as you need to match the pattern. In terms of equipment, you will need the basics like paste brush, bucket and a big pair of scissors. You may also find it helpful to get a pasteboard which is a long table that folds away for easy storage. In addition, you may want to get a seam roller which ensures a neat finish and reduces join lines. For a clean edge, you may find a wallpaper trimming edge useful. If you are going to paint, consider what kind of surface finish you want to end up with, for example decide whether you want to go for dead flat matt or a more lustrous silk finish. Woodwork such as skirting boards, doors, architraves, window sills and frames will need to be painted. Decide what sort of finish you want, for instance high gloss, satin or eggshell. Again, you’ll need to measure your walls to work out how much paint to buy. 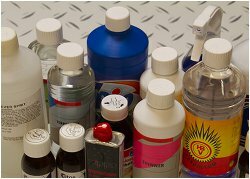 In most cases, allow for two coats to get the best result. You might also want to apply an undercoat. There are many methods of painting, and rollers, pads and paint pods all help to make the job quicker and easier. Irrespective of which method you choose, it is worth getting some small brushes for cutting in trickier areas, for example around window frames. Also buy plenty of masking tape to protect skirting boards, light switches and glass. To ensure an excellent finish, it is best to remove old wallpaper and paint before proceeding. 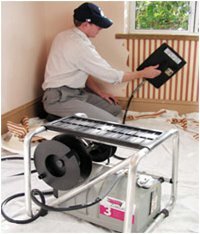 Wallpaper stripping is a laborious job that can be made much easier with a steam wallpaper stripper. 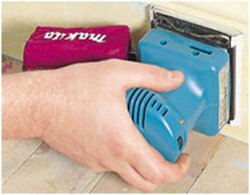 It is also possible to get a wallpaper perforator which enables the steam to work more quickly, making the job even easier, especially with woodchip, vinyl wallpaper or paper that has been painted over. Paint stripping needs to be done with a hot air paint stripper which makes short work of this messy job. Ideal for stripping back old gloss from woodwork so that you can either varnish or repaint it. 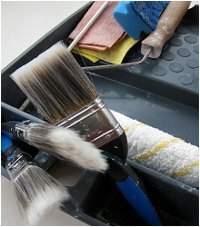 Once your surfaces are free of paper and paint, fill in cracks with filler, wait until it dries and then sand it smooth. You can use a drywall sanding kit and a small hand sander for walls. For woodwork such as doors and skirtings, use an orbital sander for large areas and a triangle sander to help you deal with decorative features. Finally, when stripping, you don’t know what is under there so it’s best to be on the safe side and make sure the room is properly aired. If you’re concerned about the presence of lead, use a protective mask or seek professional advice.